Let me disclaimer this piece by saying that I am not opposed to gambling. 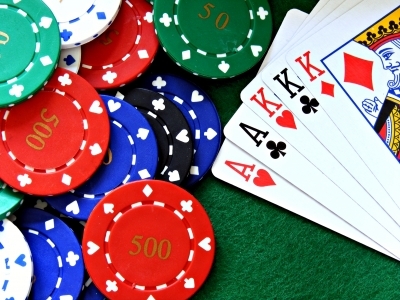 It is important to understand how gambling can be very dangerous for someone with ADD and ADHD. With impulsive behaviors can come bad decisions. And with bad decisions can come enormous ramifications. Only bring what you’re prepared to lose. Leave the ATM card at home. Play in games you understand and are comfortable with the rules. Fight the temptation to play games you don’t understand. If you’re not sure, ask your dealer or someone you trust about the rules. Travel with a friend you know and trust. Ask that person to hold your money if concerned. If you’re winning, know when is the time to walk away. Avoid being distracted by other players. Try to avoid alcohol in access. If you’re a poker player, try to play in tournaments to minimize your losses. There are some of you reading this that are obviously more experiences gamblers. But for a non-regular gambler going to a casino or poker game, be sure to stay in the comfort zone. The worst decisions are when we try to over-complicate things. One last piece of advice is if you have a bad night, it isn’t the end of the world. Try to minimize the damage and learn from your mistakes. When you try to compound your mistakes by making even more impulsive decisions, you will end up making regrettable choices. As the song says, know when to walk away; know when to run.